Tavis Stanley, Tour Manager and Guitarist from Art of Dying, is currently on tour with Adelitas Way as their guitarist. 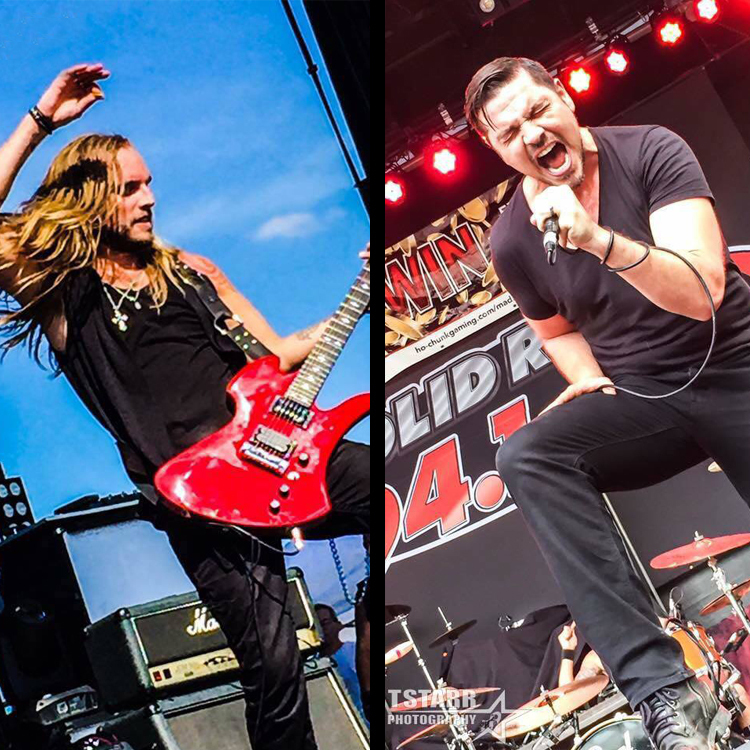 Adelitas Way is on the #Notorious tour, hitting the U.S. in support of the album “Notorious”, which was released in October. Also on tour with Adelitas Way are the Sons Of Texas, Stone Broken, Taking Dawn and Static Signal. Adelitas Way and Tavis Stanley, which plays The Annex in Madison with special guests, rocking the single “Notorious,” one of the band’s most successful songs. With the line-up change and a U.S. tour underway, I spoke with Tavis Stanley. Here’s his take on things to come. MI: This Saturday March 31st, you’re playing with Adelitas Way at the Annex in Madison. Are you filling in, or is this a possible permanent placement? TS: Not sure really, at the moment just playing rock n roll with old friends and having a blast. I’ve always been a freelance player so jumping in with these guys was pretty natural. I like to have a full schedule and play guitar as much as possible so we’ll see what happens. MI: What was the overall decision for you to go on tour with the guys? TS: Actually it just came out of a conversation with Rick a few months back. We were texting and I asked him who he had on guitar these days. I jokingly said “is it me?” but I wasn’t joking (lol). He called me 2 minutes later and said he had no idea I was available and would love to have me. MI: How’s the new music going for Art of Dying? Any new tour news for the Art of Dying camp coming out this way? TS: The new music Art of Dying has coming up is going to be great. It will be well worth the wait. MI: What new music are you into these days? TS: Loving the new Shinedown track and anything Nothingmore puts out. Those guys have a great sound. Been listening to lots of new Adelitas, the new track about to drop is dope. MI: For you as the guitar player for Art of Dying, what were the challenges to fill In the spot in Adelitas Way? TS: There weren’t really any challenges. Its refreshing to learn new material and get into a room and just bang it out. We all get along well so its just a good time!